o encourage your child's development in all area's. We aim to offer your child a wide range of quality play experiences, along with quality interactions, where the safeguarding of your child is of paramount importance. Nursery opening times vary from 7am to 7pm at Media City Salford and 7.30am to 6.00pm at Irlam and Monton Green, 07.45am to 6.00pm at both Swinton settings. Locations: We now have 5 Operational sites in the Manchester Area they are, Swinton, Pendlebury, Media City Salford, Irlam & Monton Green. To enquire about a place for your child and/or take advantage of a FREE childcare place please get in touch, we would love to hear from you. Your child may be eligible to receive up to 15 hours of FREE childcare per week depending on your family's personal circumstances, call us to find out if your child qualifies, or call the starting life well team at Salford Council. ALL children aged 3 and 4 years are entitled to receive 15 hours of FREE childcare for 38 weeks of the year from either the January, April or September following their 3rd birthday. Call us to book your child a place with us. KidzRus provides a totally inclusive environment for your child where we recognise the importance of working in partnership with parent/carers, thereby ensuring every individual child's needs are met. All children are encouraged to make their own choices and decisions. We provide continuous provision both indoor and outdoors to enable your child to explore actively and freely,enabling development in all four key themes of the Early Years Foundation Stage. Please contact our Nurseries to inquire about our daily fees which start from £36. Below are the latest reviews for KidzRus Nursery. Please note that reviews represent the subjective opinions of other Childcare.co.uk users and not of Childcare.co.uk. Parents must carry out their own checks and references on childcare providers to ensure that they are completely happy before enaging in the use of their services. I have viewed two of the Kidzrus nurseries one on Langworthy rd which on our viewing was quite shocking, it was dirty, there was food brushed into the corner of the room by the bin which my daughter tried to eat! The kids were all sharing each others beakers which was a no no for me, the carers didn’t even care! Then there was a child throwing sand into my child’s eyes and I was just shocked that the supervision was so poor, I didn’t enrol my daughter there. Then accidentally I looked around another one of there nurseries and the manager was an absolute scaly she spoke to me in such a derogatory way, I realised this nursery was full stop not the nursery for me!! Ran by a bunch of cowboys! We were very sad to read this review. Very important to us: We’re not going to respond to people who insult our managers. Also, we can’t expect parents who see this site to trust one person’s reply more than another, even though we obviously have a different opinion of what might have happened. 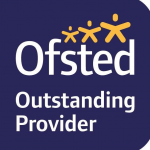 We can only suggest that any interested parents look at our Ofsted ratings and comments from parents on our website, on Social Media and in the many other places people comment, and see how positively we are viewed everywhere else. Brilliant nursery and highly recommend! Our kids absolutely love this place - all the staff are really friendly and extremely professional. Compared to the last nursery we went to in Manchester for over a year, this place is brilliant! I would not trust my sons with anyone else. Keep up the goodwork!